We have a Dominican Republic Vacations location for your to enjoy everything the caribbean has to offer. We book vacations to all of the locations such as: Santo Domingo, Punta Cana, Puerto Plata, Las Terrena, SoSua, LaRomana, Bayahibe, Juan Dolio and Cabarete. However, the most popular Dominican Republic Vacations we have planned over the last 6 years are to Santo Domingo, Punta Cana and LaRomona. 1. 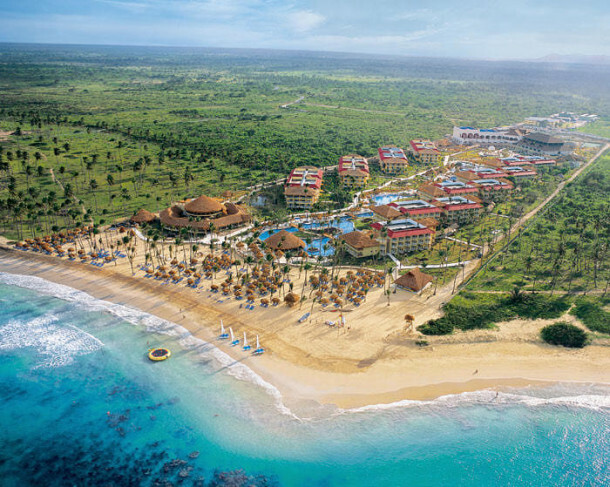 Punta Cana: Out of all the Dominican Republic Vacations, Punta Cana has increased to become the most visited vacation we book for destinations in the Dominican Republic. Among the best golf destinations in the world, Punta Cana is the very picture of leisure. The beaches here are simply perfect: calm, warm waters that gently lap at stretches of fine white sand. We can book numerous tours with your all-inclusive vacation packages. Or you can just relax on the beautiful beaches or receive a spa treatment after a long day visiting some of the local vacation spots such as zip-line adventure, clap along with traditional Dominican music at a cultural performance, or explore the magical lagoons of the Indigenous Eyes Ecological Park. 2. Santo Domingo: Santo Domingo, the capital of the Dominican Republic and a UNESCO world heritage site, is the oldest continuously inhabited European settlement in the Americas and one of the most populous cities in the Caribbean. The city is a mix of old world charm and modern Latin flair. Its medieval palaces and fortresses mix with nightlife and shopping to rival any modern city in the world. You’ll find pristine beaches and hidden gems like a salsa/merengue club set inside a huge underground cave. 3. Cabarete: After a day filled with windsurfing, kiteboarding and surfing, visitors to Cabarete will want to head out for the legendary nightlife. The caribbean night clubs in Cabarete will have you partying to the sun come up. 4. Puerto Plata: Well-priced, Dominican Republic Vacations all-inclusive beach resorts are the norm around Puerto Plata (though you’ll find better beaches in nearby Playa Dorada). We can book you a day tour to the local sites and you can take a cable car to the peak of Mount Isabel de Torres, or let the kids explore the 16th-century San Felipe Fortress. We have a vacation solution for all members of your group or family vacation. 5. Las Terrenas: This Dominican Republic Vacations location is on the northeastern coast of the Samana Peninsula, Las Terrenas offers miles of protected inshore waters and beautiful, undeveloped white-sand-beaches, lined with tall palm trees and pastel-colored fishing boats. Trade winds and the warm temperature of the sub-tropical Atlantic Ocean bring this part of the island year-round balmy weather. 6. Sosua: Sosua is everything you want a beach town to be. The Dominican Republic Vacations location boister clear waters teem with coral, perfect for snorkeling and diving. When you finish the water sports you will find it relaxing to enjoy the scenery of the multicolored sands lined with unique beach shacks. This small enclave of the Dominican Republic was once a haven for Jewish refugees. Historic sites and synagogues offer great perspective on Sosua’s postwar identity and culture. On a lighter note, a community of ex-pats helps fuel a boisterous, international nightlife scene. 7. La Romana: The Dominican Republic’s third-largest city is in the country’s southeast. The Dominican Republic Vacations location offering both an upscale vacation resort, Casa de Campo, and Altos de Chavon – an artists’ village designed in 15th-century Med-style, this sugar refinery settlement on the river Chavon offers a cosmopolitan take on the Tropics. Taino Indian artifacts are on show at the Archaeological Museum, while eclectic shops hawk wares in Altos de Chavon. We can book your group or family a boat trip tour to visit the shooting locations for the movies “Apocalypse Now” and “Rambo” and many other tours of your choice. 8. 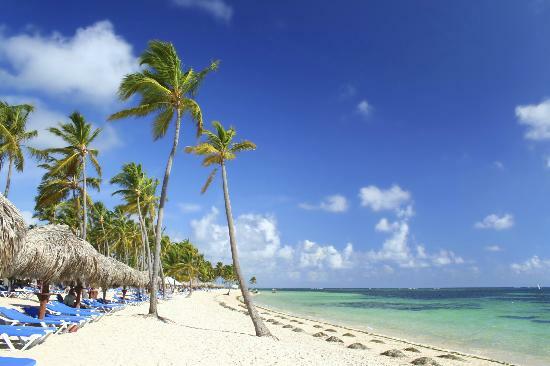 Bayahibe: Just 10 miles east of La Romana lies the fishing town of Bayahibe. Here, divers will find spectacular coral formations and three shipwrecks: the Atlantic Princess, St George and Coco. In the national park, nature enthusiasts will find lagoons and wildlife, including a variety of birds. There is much to do, but the inviting, soft white-sand beaches are perfect for travelers seeking relaxation. 9. Juan Dolio: small seaside community and tourist destination in the province of San Pedro de Macoris on the southern coast of the Dominican Republic on the island of Hispaniola. Dominican Republic Vacations delights visitors with its mix of white-sand beaches and "gingerbread" Victorian architecture. Nine hundred miles of Caribbean coastline make Dominican Republic Vacations a beach-lover’s paradise. We can book day-trips for your group to Puerto Plata to ride the cable car up Mount Isabel de Torres, or get your groove back by visiting Cabarete and SoSua to enjoy the nightlife for all the adults in the group. 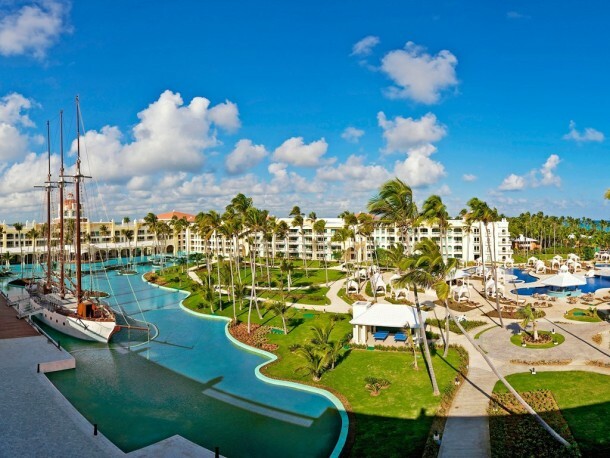 The breezy palms trees and sparkling waters of Punta Cana, LaRomana and SoSua makes Dominican Republic Vacations a true tropical paradise for any vacation traveler.